The thickness of the soil above the structure is to be 20 to 36 inches deep - all running downhill. That means that the stuff at the top ... the stuff with the man-made edge, would have to be much thicker. After all, there needs to be a surface to deal with the drips. But supposing that the thickness is 36 inches, that would mean a 36 inch border, complete with dealing with the polyethylene edge. So I came up with this variation. Extend the roof line a bit and allow the soil to taper off to something a little thinner. Paul, I think your roof idea would work. And it would give an overhang to shade the windows from summer sun (if needed). 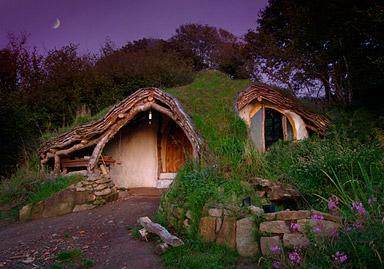 I like the same house you do in your pictures above -- it looks like a hobbit house. I've been working on my design for when we get back to Alaska. It would be on flat ground, all that's available in the Tok area where we'll probably end up (not my first choice, but both my brothers live there, and some other family). So no 'uphill courtyard' but it can all be on one level which is important. ETA: I'm working on a Mike Oehler design -- I should have mentioned that! 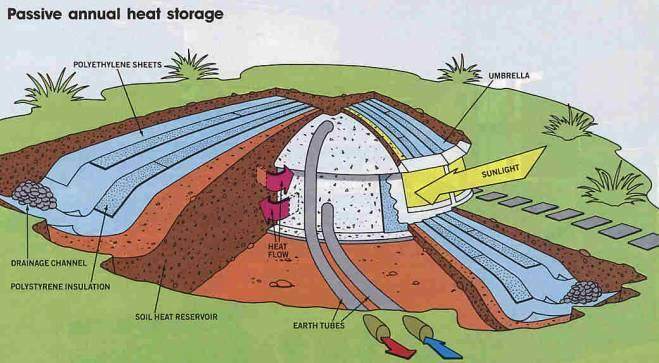 I think for the Interior of Alaska, underground (or deeply earth-bermed, in this case) is the best way to go for a comfortable and easy-to-heat house. If you follow the umbrella house link, you will be able to buy an e-book on passive annual heat storage. I think you will really like it. The straw will decompose over time but by then the root system should be well established and keep the roof area covered and the plastic layer protected from degrading in the sun. Now that I look at it again, I suppose there is no need for the newspaper beyween the soil and the wood duff. I think cardboard wouldn't be as good as newspaper. The cardboard would shrink with layers and end up ... Ridgy ... Which might not be good for the plastic. And ... I'm trying to avoid pond liner cuz I think it is more expensive. Good point on the cardboard. I can see how the upper cardboard layer might get messy. The layer under the plastic should not break down though because it's protected from sun and moisture. I thought the upper cardboard layer would be good to protect the plastic from being punctured when I'm walking on the layers during the install. Once the roof layers are in place, even when it's time for maintenance, walking on it should not harm the plastic. I totally agree that using plastic would be less expensive than a pond liner. It seems that if you start with plastic that has no holes or weak spots and are careful during the install, you should have no trouble with leaking. Plastic is weakened by UV rays and sharp objects. The layers of straw, soil and plantings will do a great job of protecting it from the sun. And using pea gravel should protect from punctures. 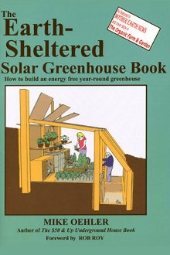 The book, Earth-Sheltered Houses, has a small section on building living roofs that's very helpful. Some of the examples use lots of brand-name, no doubt super efficient products that are specially made for living roofs. But, the relevant part for me was how they layered the roof e.g. waterproof layer, then cushion, then gravel, etc. The last example in that section of the book has great details about how a couple in Ontario constructed their living roof. That example and the photos of how neat it looked convinced me that a living roof was a great solution for roofing. I agree about walking around on the roof after. If there is a foot of soil, it won't harm any of the layers. You make a good point about poking holes in the poly during install. I think it would be tough to do, but even if you did, I think the newspaper is going to do a really good job of mending those holes. As for your dancing rabbit link: I've seen that style at cobville. I think there is lots of potential for it. However, for it to work I think the poly won't be a good solution - therefore, it will be more expensive. Plus, that style doesn't have the PAHS. Nor any insulation. Here is a quick drawing of what I'm thinking. This is a simple view. It does not show sun from all four directions. All sorts of stuff is attractive to all sorts of critters. And yet we build anyway. I suspect that once every few years critters will dig into this stuff a bit in a way that I won't notice in the house. I think that could work - especially if you let the overhang be determined by your passive-solar needs. If this means you end up thinning the layer over the house itself, you can always add some insulation on the inside of that upper lip if it turns out to be losing too much heat. Thanks for sharing all the pretty pictures. My guess is that the multi-layered heavy-duty materials are "foolproof," hard to screw up. Pond liner is popular with many natural builders; it is known to "get the job done," and avoids the problems previously associated with sod-roofed houses. Polystyrene is super-insulative, so a little goes a long way. If you're selling designs or building projects for people, they need reliable results for you to maintain your reputation. If you're building for yourself, you can take more risks like skimping on materials, and if there's a problem, you can dig it out later and start over. Any seams are going to have creeping damp... maybe that's why the multiple layers in one place. Rolling the seams like an Inuit parka might help. Insulation would also help keep each layer at the same temperature as its surroundings. Avoids the condensation problem where warm moisture from the house hits cold, sealed plastic. But all the dirt will absorb condensation, anyway. As for preserving a reputation: well, I'm not too worried about that! When I do build this, I would very much like to not die, and I would also like this to be a huge success. And a little planning ahead might help on both of these. So .... with a focus on what could go wrong and reputation .... oehler's first structure was a little like the one above, only, take out all of the newspaper and wood duff. So it was wood planks, covered with tar paper, covered with black plastic, covered with 3 inches of soil, covered with more black plastic, covered with 30 inches of soil. And that structure is still standing and is still dry. Although now that he has more of these structures under is belt, he, too, appears to be leaning toward pond liners. Rolling the seams like an Inuit parka might help. I think this is a good idea. The only downside I can think of is that when you are trying to do it, it could be difficult to do with a bunch of slippery plastic. Perhaps 6 to 12 inches of overlap when combined with the newspaper and the pressure will mitigate this issue a bit? Paul, the bigger overlap would be a very good idea, but you could also run a bead of caulk (as long as the touching layers were both plastic). That should help hold things in place. You can also use old carpet to sandwich your EPD pond liner or 6 mill plastic or whatever waterproof layer you use. Just ask around for people tearing carpet out of their house and you can use that instead of your idea of newspaper or cardboard to prevent perforation of your plastic sheet. I am a bit skeptical of Sepp Holzer's structure for human use. You can see the discoloration at the base of the logs from probable mold/fungus issues due to moisture from the soil. That might be fine for storing your tractor under but I don't know about living in there. Keep in mind the concept of having a "good hat" and "good shoes" to keep your structure intact and around for a long time. That means having a good roof and a good foundation to keep the water out. Good point about the holzer structure. I think that particular pic is for an animal shelter. And I think Holzer doesn't design his for human habitat - but it is remarkable that he and Oehler came to the same conclusions on their own. Each has some slight variations in style. As for the good hat and good shoes .... 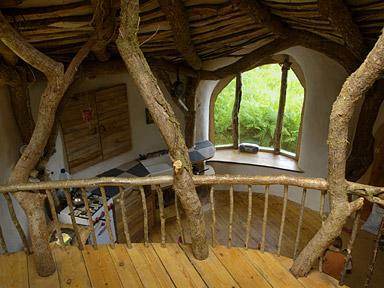 I think that is good for cob structures and for straw bale structures, but .... I don't think this really applies here. The hat is a huge component in the design - making it so freaky cheap. And a pole structure, by definition, has no shoes. Or, perhaps I'm not understanding something? Paul, the good hat and good shoes thing is just to make sure that the structure stays dry. Dry is absolutely critical, both for the mold issues that Kabir424 mentioned and to prevent your structural members from rotting out while you still want to use the building. As long as you pay attention to keeping everything dry, you should be okay. Yes! 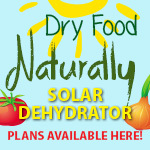 Dry is very important! I had so much to say about all of this that I put it into one great big article. Please tell me if there is any stupid grammar or typos or poor logic or fallacies! What is your foundation going to be made of? Will the posts be going into/onto a concrete bond beam or will they be pillars? Instead of concrete will you be using stone instead? Also, what will your interior floor space be made of? Also, that wood duff won't remain wood duff for very long with your design as it is. Creatures of all sizes from the micro to the macro will have no problem eating and/or living in there. You have no way of keeping them out and here you have built them a nice and relatively dry home just for them. Kind of cute but I don't think it is what you intended. There is also the issue of what happens when one of those creatures comes up against an "impermeable" barrier like plastic. Well, they might just be curious what it tastes like or what is on the other side and eat a hole in your plastic barrier(s). What is your foundation going to be made of? "The fastest, cheapest and most reliable components of any system are those that are not there." It's a pole structure. Therefore, there is no need for a foundation. This is the huge advantage of all pole structures: stronger structure and no foundation. The downside is that the whole building must then be built on the poles. Will the posts be going into/onto a concrete bond beam or will they be pillars? Instead of concrete will you be using stone instead? The posts will be processed before going into the dirt. It is my opinion that using any concrete or stone at this point does little, if anything, for you. Also, what will your interior floor space be made of? That would be up to each wofati installation. Mike Oehler uses carpet on dirt. I don't care for carpet that much. I like some of the earthen floors I've seen lately. Also, that wood duff won't remain wood duff for very long with your design as it is. Creatures of all sizes from the micro to the macro will have no problem eating and/or living in there. I suspect that there will be some of that - so as time passes, there will be less and less insulative value. And there may be ways to mitigate some of that. But with so much carbon and without moisture, and with the edges of it being fairly deep, I suspect that there will be little trouble. This is one of those things where I look forward to seeing the long term results. Well, they might just be curious what it tastes like or what is on the other side and eat a hole in your plastic barrier(s). I think this is one where Mike has expressed that they just don't seem interested in penetrating the plastic. He's had a lot of trouble with moles, but not with that. 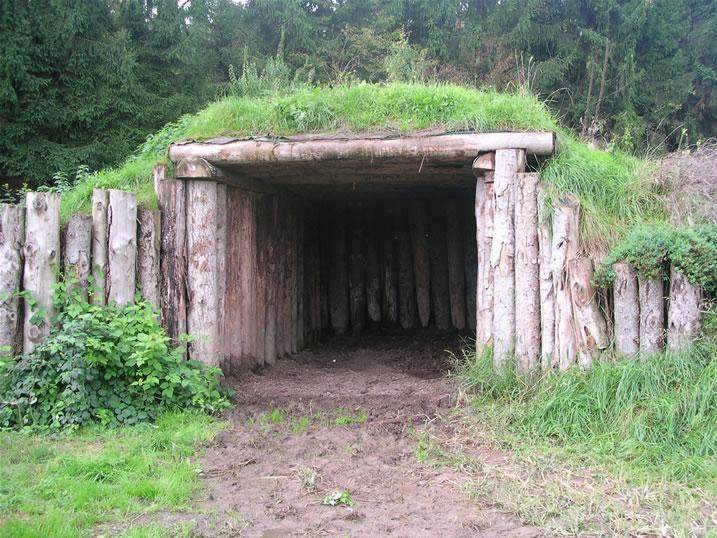 "wood duff won't remain wood duff for very long"
I would to have to say that it would turn into compost. It will still be there. I like the idea but pond liner and tar paper just don't fit = $$$$$. Salvage (PC word for recycle) is a better idea, use what you can get from town and also on the land. The straw between the 2 layers would be a NO NO. It become compost. I like that hobbit house roof style and looking up at the ceiling. I like the drawing from Mike Oehler's book, page 46 designs for the green house but would add another green house on the front but with your plan's drawing it would not fit. Yes you need to draw the rain water away it means giving up that rain water that you can store for watering the place when needed. It's like you're da*n if you do and da*n if you don't. But still the bottom of the posts has to be treated. And still put a layer of gravel in the bottom of the hole for the post to sit on. When saying facing uphill I would have a assume that the mountain is facing north? Kragonfire kind of hit on it in that the posts have to be treated or they have to be a form of wood that is very resistant to rot like cedar, white oak, black locust, etc. If not, you will have it rotted out within 10 years and possibly if the conditions are right within 3 years. Also, there is a difference between a dirt floor and an earthen floor. Make sure you know that difference and I would highly suggest going with a sealed earthen floor. It will be a lot easier to keep clean and comfortable. Also, you make the statement on your website, "But french drain is designed to deal with a water table getting too high - not with too much water coming from above." That is an incorrect statement. I have done some rainwater catchment systems and I have done some raingarden work as well. I use french drains a decent amount to specifically deal with and redirect surface runoff(aka "too much water coming from above") and not at all with "a water table getting too high". 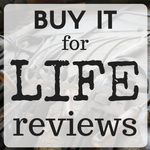 You might specifically use a french drain for your above stated purposes but I have not. Also, when calculating your insulation value don't forget to calculate your wooden roof beams. They will be continuous right? No gaps between them? Also, they will be decently thick. Probably 8" or more thick? That should give you another R-10 in insulation. 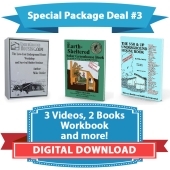 Here is another way to look at it: How does a straw bale house not turn into compost? How does a straw bale house not get invested with critters of all sizes? The key is to keep it dry. I like the idea but pond liner and tar paper just don't fit = $$$$$. A wofati has zero pond liner and zero tar paper. If there is a part of the article that suggest that a wofati uses either, then I need to change the article. But still the bottom of the posts has to be treated. Oehler goes into this a bit in his book. He recommends charring the bottoms of the posts. And still put a layer of gravel in the bottom of the hole for the post to sit on. I wouldn't. Most folks like to do all sorts of things with posts in a pole structure. I prefer to design it so that the water stays far away and then do nothing with posts other than char them and stick them in the ground. 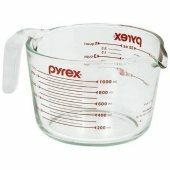 I wonder if mixing in a trace amount of borax would be good. But that would be a discussion for a whole different thread. Nope. The slope faces any direction. Oehler's designs can get sun from all four directions. Oehler's book goes into a lot of detail about what kind of wood to use. And he goes into more detail about preventing rot in the posts. After charring the ends, he also likes to wrap them in black garbage bags. I think that Mike prefers a truly dirt floor with carpet on it - although I think he might put some poly between the two. An earthen floor is a dirt floor, but with stuff mixed into it to make it hard. Bees wax comes to mind. Some earthen floors are very elaborate, with many layers containing lots of different additives so you come out with a work of art that should last generations. I think the whole dirt floor vs. earthen floor would be an excellent new thread! Also, you make the statement on your website, "But french drain is designed to deal with a water table getting too high - not with too much water coming from above." That is an incorrect statement. Here is my proof that my statement is 100% accurate: Pbpbpbpbpbpttttt!!! Pbpbpbpbpbpttttt!!! and Pbpbpbpbpbpbpbpbpbpbpttttt!!! And if that is not entirely persuasive, I also offer this: when french drain is properly installed, one set of the little holes must be pointed directly down. If water is coming from above, then the water just keeps right on moving to below. In the case of being behind a house/basement, then everything still gets soggy. On the other hand, if the water level in the soil rises to the pipe, then all of the water leaves willy nilly. I have done some rainwater catchment systems and I have done some raingarden work as well. I use french drains a decent amount to specifically deal with and redirect surface runoff(aka "too much water coming from above") and not at all with "a water table getting too high". You might specifically use a french drain for your above stated purposes but I have not. I could see a french drain being used in an attempt to reduce excess water coming from above. I would think that in a flooding situation, one could debate whether the water is coming from above or whether the water level in the area is higher (thus, from below). But I think that for the case of a "don't-do-this house" the primary problem is that the water is coming through the soil. And from above more than from below. And while a french drain can offer some help on the worst storms, I think you are still going to have too much moisture next to the structure. And, it seems that this has been the result for too many u-houses. They have the french drain, but the house is still struggling with water troubles. Have you decided on what mil and color of Polyethylene Sheeting? I'm thinking more about the french drain statement. So, I said "But french drain is designed to deal with a water table getting too high - not with too much water coming from above." And I can see room for an interpretation that is different from my intent. Perhaps I should rephrase this in the article (publishing on the web is so much better than in print!). So .... a french drain is designed to deal with a water table getting too high. That part is accurate. As for water from above, a french drain can help, but it does a lame job. Further, if there is a huge excess of water, it does a better job. Suppose that there is a sprinkle of rain and the surrounding soil is 80% saturated. The french drain does absolutely nothing. Next scenario: the ground is downright muddy and there is a slight layer of water on the surface. The french drain still does nothing. Next scenario: there is mild flooding - a half inch of water is attempting to build up. Now the surface water is so great that the water flows to the french drain. Once the soil below the french drain is completely saturated and the amount of water coming in is greater than what the soil below the french drain can deal with, then the water level starts to rise. Once the water is above the bottom most hole in the french drain, a trickle of water will start to move down the french drain. 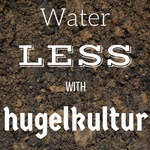 Want to know what works ten times better than a french drain in dealing with surface water? A packed trench. So - the idea of the french drain behind the u-house: Once the soil is utterly soaked and it cannot hold any more, then the french drain will start to take some of the water out. I would think a better solution would be to keep that area far drier than that. So .... back to the statement at hand ... perhaps I should say "But french drain is designed to deal with a water table getting too high. When using it to get water out from above, things have to puddle up to the french drain pip first - and by the time the puddle is that high, things are already too wet." I suppose that if you were to sink the french drain to be two or more feet below the house, that would help. But that might also weaken the structure. Paul, French drains normally (in my experience) are meant to redirect water from above away from a building. The pipes are put in to collect water from above and carry it away to a dry well or some other place where the excess water can be safely dropped. I don't think they would do much for a high water table. But, if you are moving to Montana, as I believe you've said you plan to do, high water tables probably won't be a huge issue for you there. I don't know why you are so fixated on your idea that french drains are there to deal with a water table issue. It is explained very well by a couple of people on the link you provided that french drains are there to deal with surface water and not water tables. Purpose of French Drain: To move excess surface water from one area to another area that is lower in elevation. How it works: A ditch filled with stone/gravel allows surface water to be channeled in a controlled manner that negates erosion. If a pipe is included in the french drain it is there to allow a more rapid removal of water since there will be less resistance for water in a pipe than in a bunch of gravel/stone. The only way you are going to keep any of this dry in the event of any rain is to have a roof over it and to prevent capillary action by water regardless if you use a french drain or a packed trench. The packed trench is less useful than a french drain since you have to have a ditch that could potentially be awkward in your yard. Also, there is more likely an issue of erosion in a packed trench than a french drain. If the area you need drained is off in the woods somewhere and you have a sufficient amount of erosion control then either forms will work fine and you can enjoy the ease of your packed trench. What is your source? I just googled a chunck of what you say and google could not find anything. I don't know why you are so fixated on your idea that french drains are there to deal with a water table issue. My fixations are related to my understanding. And I find it interesting that you wish to focus any of your time talking about me rather than the issue. If you set a french drain pipe out in the open air and poured 500 gallons of water over it, not even one gallon would come out the other end. In fact, I suspect that not even a fluid cup would come out the other end. Now, I'll grant you that we are talking about abnormal conditions. Normally, this is in the ground with a bunch of rocks surrounded by landscaping fabric. The design of the french drain is designed to work only when there is sufficient puddling. And it does not create puddling - in fact, it's mission is to allow water from above to pass through - hence the holes in the bottom. So .... this is the last I'm going to say about french drains in this thread. I'm happy to respond to any other stuff about french drains (or my relationship with the concept) in the other thread. well I worked with a man who took that idea but a twist to it no pipe. he had a problem with those french drains with his 2 car garage backed into a hill. The material was a roll of 4' thermoplastic roofing membranes ends he picked up from a company for nothing. just glue them together. Dug the dirt out 12' on the back side of the garage a layer of sand and gravel on top of the thermoplastic roofing membranes then fibermat on the gravel put the soil back. Same way to the side of the garage as it slope down to ground level. Installed and allowed it to drain towards the 4" Channel Drain and Grates continuing along the drive way. That stopped the water problem into the garage. Now thermoplastic roofing membranes would work for sod roofs. You are entirely right. Sorry about getting sidetracked here. Since you are the forum moderator would you mind moving over some of my comments and certainly your last comment over to the french drain thread? I will discuss over there before coming back to this thread. Thanks! I can move whole posts, but not slices of posts. And some of the posts here talk about stuff that goes in both threads. So I think I'm gonna be lazy and just rely on everybody here to focus their future discussion on french drains to the other thread. Ok. I will just copy and paste on my own from this thread. Thanks! 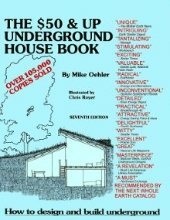 I assume Paul's wofati modification would still have the same limitation that the original $50 underground house had, of not being up to code for building permits? I am pretty certain you are correct. Of course, if the Oehler design was more popular 20 years ago, we might see as much understanding for it now as straw bale and cob are currently getting. Another bright side is that thanks to the earth ship folks and the works of Art Ludwig, it sounds like a lot of states are making laws that allow for innovation exceptions in building codes. Since this is something for woodlands, I think a lot folks could build these on woodland property where there are no building codes. Of course, you could build an animal shelter. Lots of codes allow for something less than 200 square feet. An interesting story: A guy built a four bedroom Oehler house but never got a permit. The inspecter came to assess the value of the bare land and never found the house. Assessed as bare land. I thought maybe your modifications might make a difference.. It's unfortunate because I'm dealing with a situation where buildings have to be built to code. Even if the building couldn't be "found", it would not be acceptable because the people I'm working with are obligated to do everything by the books.. There are ways to do it by the books. Consider that the wofati is going to save you heaps of bucks. So, my understanding is that you can follow a few different paths and still do it. One is to have an engineer sign off on it - that sort of overrides the safety codes. (emphasis on "sort of") So you might cut your costs by 70% and then use half of that for architecture and engineering stuff. You still come out dollars ahead.